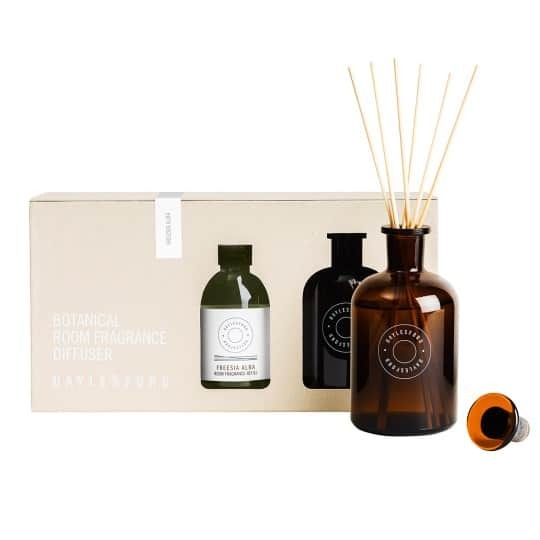 Daylesford Organic’s botanical diffuser oils are a fresh and effortless way to continuously fragrance your rooms. Last approx 3 months, refills available. Included: amber reagent bottle with lid, refill bottle 250ml, reeds.